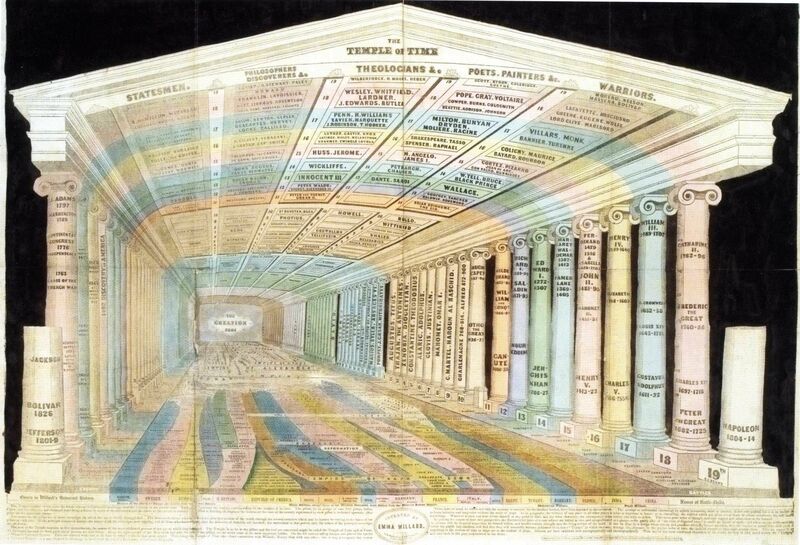 The Temple of Time is a three-dimensional projection of historical chronography created in 1846 by Emma Willard, an American girls' educator. In the temple, the vertical columns represent centuries, with those on the right showing names of important figures from the Old World while those on the left show figures from the New World. The floor shows a historical stream chart. The ceiling functions as a chart of biography. It was designed as a mnemonic device that allowed people to memorize information by imagining it as architectural details in a three-dimensional mental space.